VANKLEEK HILL, ON – Beau’s All Natural Brewing has announced that a beer inspired by the “happy accident” that befell the very first batch of its flagship Lug Tread ale will be returning this week after a couple of past limited edition releases. 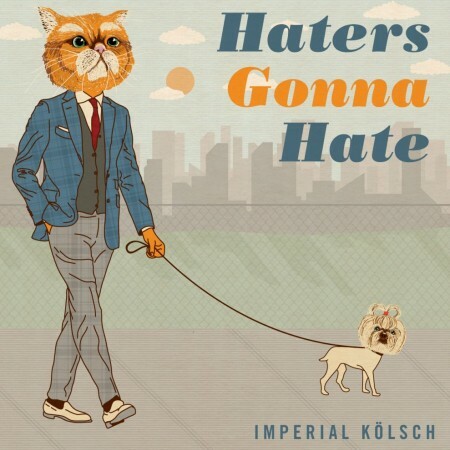 Haters Gonna Hate is unfiltered, strong, and has a golden-orange hue. The aroma is tropical, suggesting mango and papaya, and is enhanced with mildly musky Nelson-Sauvin hops. A clean malt presence allows for full display of the hop-driven fruit flavours, and balanced, moderately high bitterness. The concept behind the beer is a tribute to Batch #1 of Lug Tread. Due to some faulty beer-making equipment, it ended up accidentally “imperialized” – that is, brewed to higher strength and intensity than intended. With the release of Haters Gonna Hate, Beau’s has opted to recreate this happy accident on purpose. In fact, the name of the beer is a bit of a cheeky tribute to those events as well. Haters Gonna Hate will be released tomorrow (May 5th) and will be available for the next two months at the Beau’s retail store and BYBO delivery service, LCBO locations in Ontario, and select grocery and corner stores in Quebec.